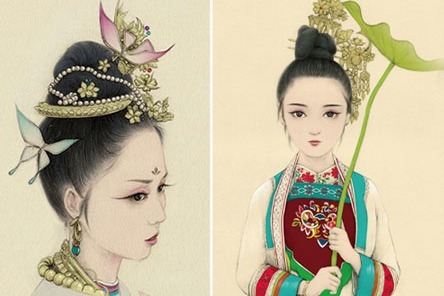 Chenghe wickerwork, also called Xiangyang wickerwork, is a traditional local handicraft of Chenghe town in Xiangyang city of Hubei province. 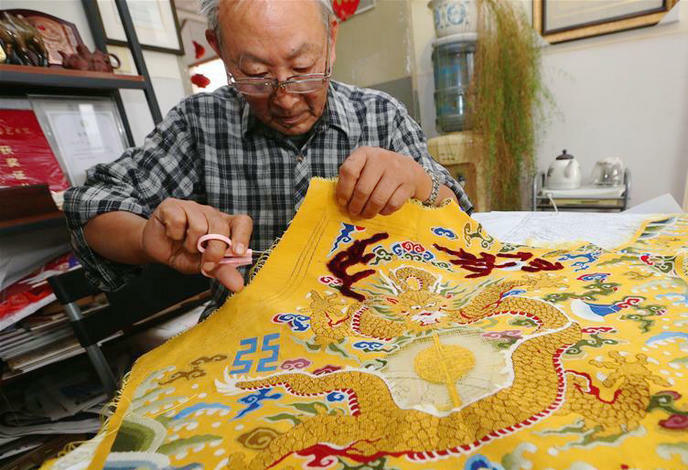 The making technique of Chenghe wickerwork has become a city-level intangible cultural heritage item. 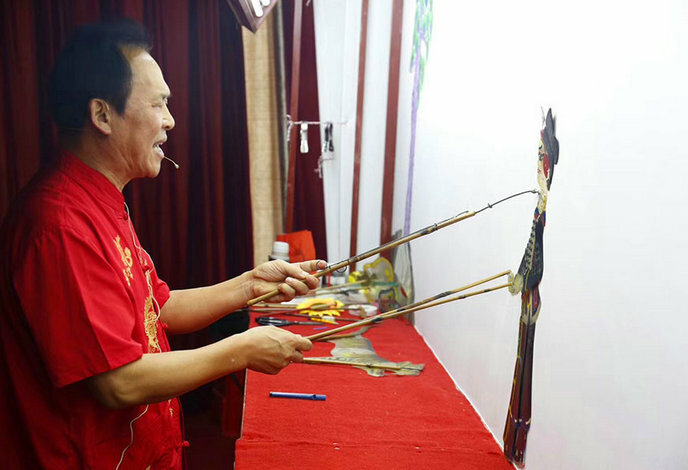 Out of the 365 days in the whole year, 68-year-old Qin Ligang usually performs shadow play on 364 days, except for the New Year's Eve. 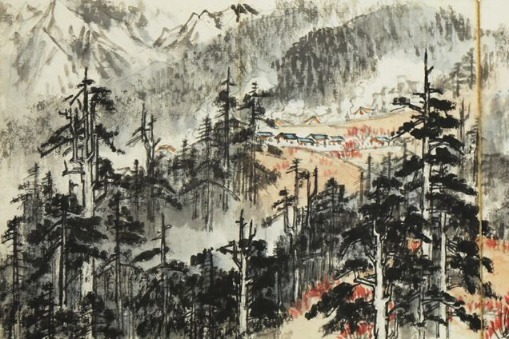 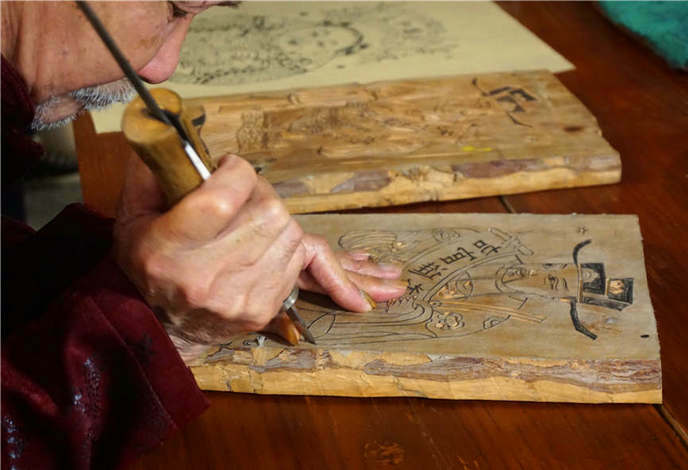 Chen Yiwen, who celebrated his 88th birthday on Monday, is the only surviving artist who has a high artistic attainment in wood engraving painting in Hubei province. 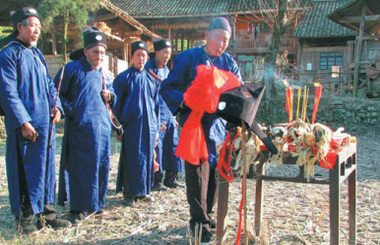 Gengcun story was listed as the national intangible cultural heritage in 2006, and 45 villagers here have been conferred the title of "story teller". 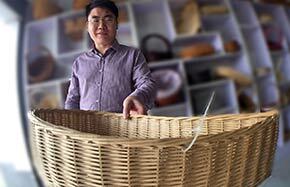 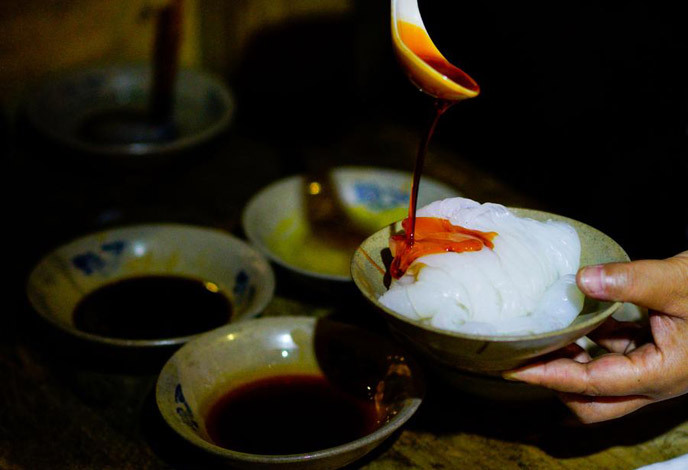 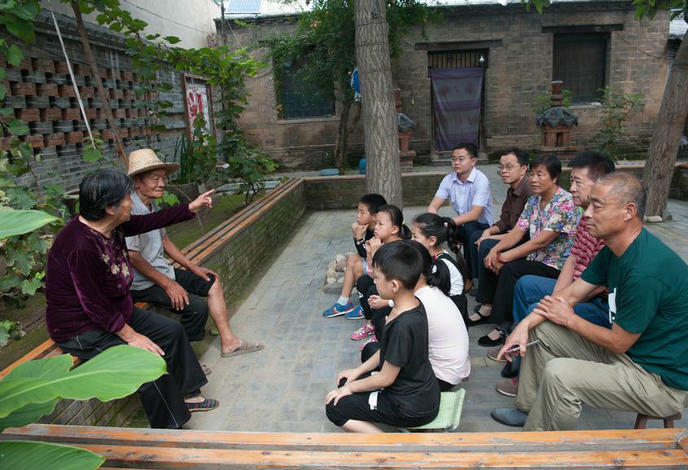 Pei is recognized in 2012 as the Luoyang city's inheritor of rubbing skills, an intangible cultural heritage. 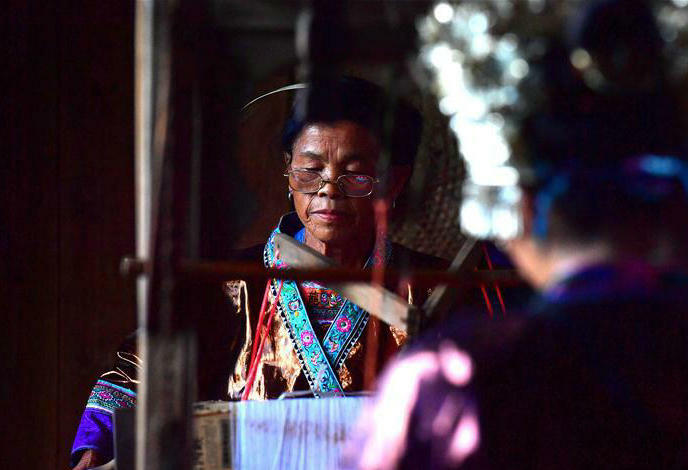 Miao ethnic woman Jia Huilian weaves at home in Gudu village of Rongshui Miao autonomous county, South China's Guangxi Zhuang autonomous region, June 14, 2017. 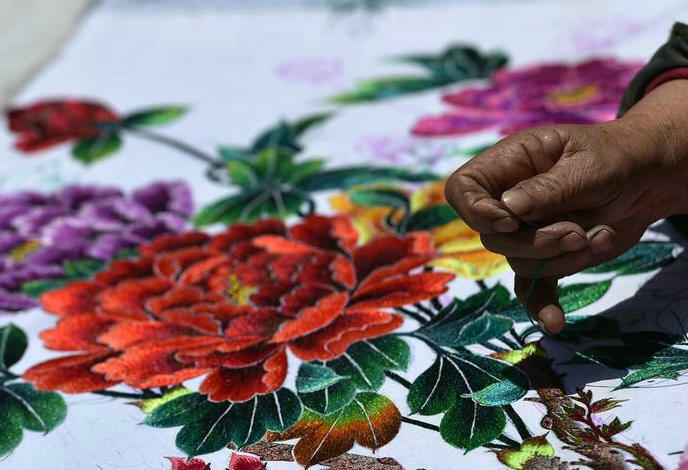 Bu Xilan makes embroidery works in Maping village of Longde county, Northwest China's Ningxia Hui autonomous region, May 23, 2017. 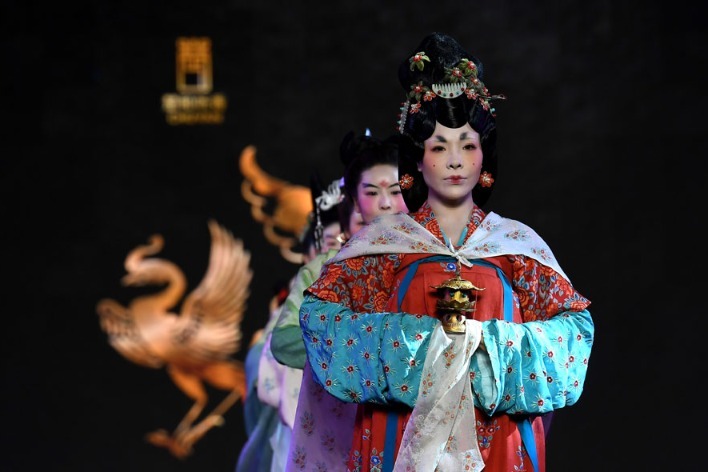 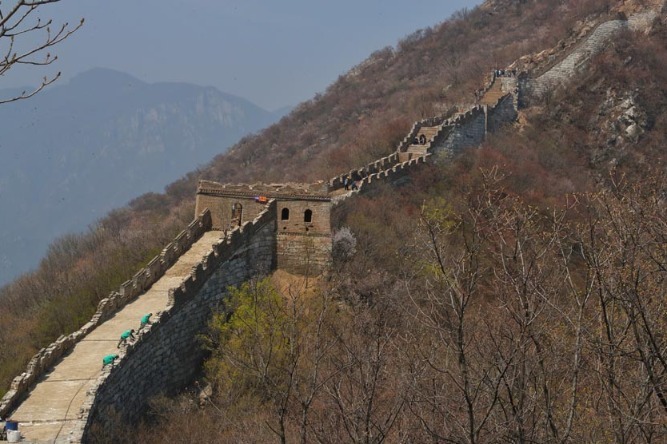 With their rich historical heritage, the Silk Road Economic Belt and the 21st Century Maritime Silk Road have facilitated not only economic prosperity but also tremendous cultural exchange. 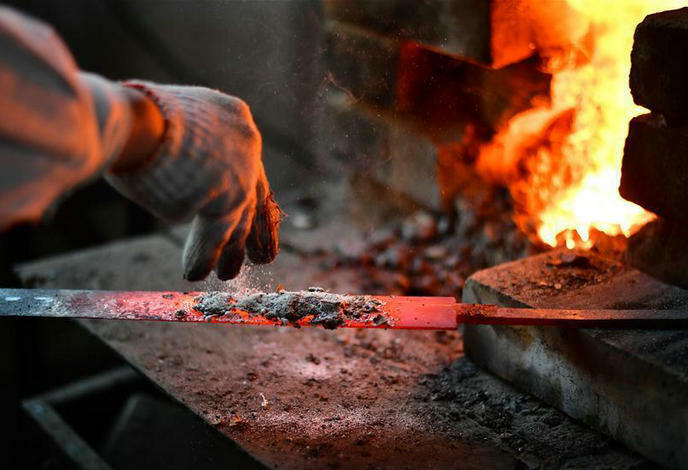 Xiping is well-known for the manufacturing of handmade Tangxi sword, which was listed as national intangible cultural heritage in 2014. 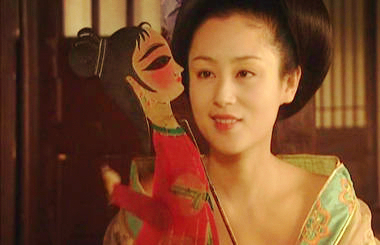 A couple of deft hands deploying legions of figurines and telling stories with a few bamboo sticks－this is the art form of Daoqing Piying, a type of shadow puppetry from Huanxian county, Gansu province.